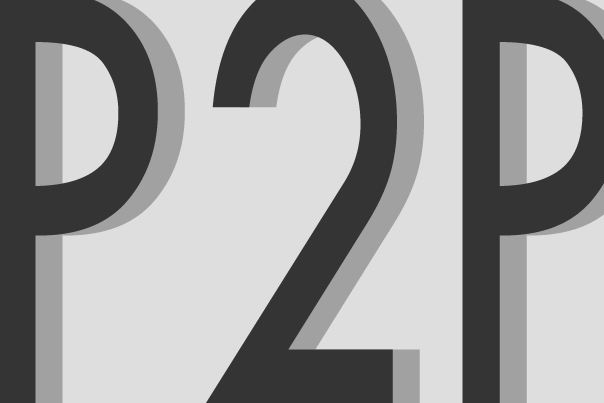 Who pays for your P2P habit? ISPs or you? Who’s paying for peer-to-peer traffic across the internet? It’s not the largest ISPs, which can actually profit from such traffic, but smaller regional internet providers and those who operate campus or corporate networks, according to a new paper out that studies how P2P applications affect ISPs. The paper claims to look at the whole ecosystem, across network boundaries and geographical borders to detail the effect of the entire system of files. Understanding a big distributed system that cross networks and political boundaries can become a monumental undertaking — for example the climate models that predict our future weather are run on massive supercomputers that can take weeks to perform calculations. But a group of researchers from Northwestern University and Telefónica Research that were curious about the effects of peer-to-peer file sharing on the Internet were undaunted. They released a paper that looks at the use of BitTorrent around the world and across multiple networks while also attempting to understand its users. Some of their results are surprising. A third of BitTorrent traffic stays local: Thirty-two percent of BitTorrent traffic stays in the country of origin and 49 percent of traffic is intra-domain or crosses a single peering or sibling network link. BitTorrent traffic doesn’t usually hit the big backbone transit providers: That’s partly because it stays local and partly because the largest amount of BitTorrent traffic stays inside a local area network run by a hosting company or enterprise. BitTorrent traffic occurs at the same time as peak web traffic and it’s growing: The old myth that BitTorrent users were up late at night seeding files has evolved and most users are sharing files during the day. Many are doing so during “peak traffic times,” which the researchers don’t disclose unless daytime means peak traffic time. The measurement of traffic during peak times is important, because that’s the measurement that ISPs use to determine how much to invest in the infrastructure. So like telephone companies used to build out their networks for the number of calls made on Mother’s Day, ISPs use peak traffic to build their networks. Because of this, traffic that doesn’t contribute to peak traffic isn’t causing congestion and is essentially a free rider on the network. We found that large portions of BitTorrent traffic flow over settlement-free links, and the portion of inter-domain traffic generating charges varies significantly among ISPs. This analysis also shows that the recent trend toward more diurnal usage patterns leads to traffic that is closely aligned with peak usage for other Internet traffic, which has a significant impact on the common 95th-percentile charging model. While the relative cost of BitTorrent traffic is variable, we found it to be generally more expensive than other traffic for links we evaluated. These results can inform ISPs’ decisions about the impact and efficacy of specific traffic management policies. Our BitTorrent focused analysis is an example of how applications can have varied impacts on ISP costs, based on when the traffic occurs. Which proves that one again the relationships between applications and broadband prices is tricky, and something best left for the competitive market to set –if there’s a competitive market. Otherwise, it’s complicated. Again, Ms. Higginbotham proves herself willfully ignorant of the economics of the Internet. The fact is that there are NO “no cost” links. Bandwidth costs money, regardless of what network the data traverses. What’s more, the article above purports to compare the costs of local vs. non-local BitTorrent traffic, rather than the presence or absence of BitTorrent traffic. All BitTorrent traffic shifts costs to ISPs which should be borne by the provider of the content (or should not occur at all if the material is pirated, as the vast majority of BitTorrent traffic is). Of course, Ms. Higginbotham, being sponsored by Google and therefore being anti-ISP, of course wishes to promote BitTorrent, which impacts ISPs and shifts costs to them.